Almost every Grand Slam champion out there will tell you that the feeling of winning their first major is unmatched. Many a tennis player has waxed lyrical about that sweet taste of victory on the Grand Slam stage, but not Naomi Osaka. The freshly-crowned US Open champion is not your typical character and the circumstances she navigated during her final against Serena Williams in New York were not your typical scenario. For the 20-year-old Osaka, her moment of triumph came with a booing US Open crowd and a bundle of different emotions, and all she wants to do is move on from it, rather than dwell upon it. “I have so much tea right now, but I’m not going to spill it,” Osaka said with a laugh, addressing a packed press conference room in Beijing following her first round win over Zarina Diyas. “There’s a lot of stuff I want to say about, like, how I felt and whatever. But for me, I don’t know, I don’t know. “Have you ever eaten green tea ice cream? This is a serious question,” Osaka asked a reporter. “When you bite into it, it’s sweet but also very strong. That’s how that memory feels to me. Of course I’m happy that I won a Grand Slam. I don’t think there’s anything that can take away from that. But I don’t know. For Osaka, the best way to move on was to keep focusing on her tennis, and she was grateful to have an immediate goal at hand, and that was to try and win her home tournament in Tokyo shortly after the US Open. She made it all the way to the final there before falling to Karolina Pliskova. She’s now in Beijing, where she is looking to lock down one of the six remaining qualification spots at the WTA Finals in Singapore, where the top eight players on the women’s tour will battle for the Billie Jean King trophy. During the US Open final, Osaka did a miracle job of blocking out the drama that was unfolding on the court between Williams and chair umpire Carlos Ramos. When she was young, she was told to look the other way if something like that happened mid-match, so she can stay focused. She did just that. After the final, Osaka cried as the crowd’s boos filled up the arena and she later told talk show host Ellen Degeneres that at the time, she felt like they were booing her, rather than the umpire or the situation with Williams. Osaka tried to avoid reading about all the details of what took place between Williams and Ramos but she was forced to discuss it on the string of talk shows she appeared on after winning the US Open. From the Today Show to Ellen, to the media frenzy that was waiting for her in Tokyo, Osaka was asked to rehash all the details of what happened. Except, she didn’t really know what happened. “I really didn’t want to know as much. I didn’t want to know anything. So I was going in with as little knowledge,” Osaka told Sport360 in Beijing on Monday. Osaka doesn’t just want to move on because the memory was bittersweet. She also doesn’t want her career to be defined by that one success and she knows the key to winning more is to not think too much about the past. “I think life is more than one tournament,” she told reporters during her press conference. She expanded on that in our interview shortly after. “For me, it’s not like I’m done playing tennis. I don’t expect myself to just win one Grand Slam. Not to be cocky or anything but I feel like the more confidence I put in myself, the more I play better so I try to tell myself that if I believe in myself then there’s a lot of good things that will happen,” she explains. There are a lot of things Osaka is yet to wrap her head around, including how quickly her star power is rising. A Haitian-Japanese 20-year-old, living in the United States, Osaka has millions of eyes on her, and sponsors are well aware of that. She is reportedly set to sign a record $8.5 million contract renewal with adidas, which is the highest figure given to a female athlete in the history of the brand. Osaka also inked a new three-year deal with Japanese carmaker Nissan and many believe she could soon become the highest-earning female athlete on the planet. “Off the bat, that sounds really surprising, that sounds pretty crazy,” said Osaka when she heard that. “That would make my parents happy,” she added with a smile. As Japan and Haiti’s first-ever Grand Slam singles champion and Asia’s second major winner behind Li Na, Osaka has an opportunity to inspire a whole new generation of tennis players in various corners of the Earth. In an interview with Sport360 in Dubai back in February, Osaka shied away from the idea of being a role model. “If there’s anyone that looks up to me, I’m sorry. I’ll try to do better so that they can have something to look up to. But the me right now is a little bit immature,” she said at the time. “In a way, yes, because I feel like I’m just starting. And this is like probably chapter one or something. I feel like the more seasoned I would get, the more maybe I would be accepted as a role model. If I am now, that’s amazing I think and I’m really honoured. But I feel like I still have a lot more to do,” she replied. It’s not just the public that is admiring Osaka for what she’s done. Her peers have been extremely impressed by her achievements this year and many have reached out to her to congratulate her. Osaka typically keeps to herself on the tour, and is admittedly shy when it comes to talking to others or making friends. I ask her if any of the players who approached her to congratulate her surprised her or stood out because she didn’t know them from before and she quickly jokes that she doesn’t know 99 per cent of the players who talked to her. She mentions Monica Puig, before adding that she knew the Puerto Rican from before then said that Alexander Zverev also spoke to her for the first time to congratulate her. Has it been a little easier for her to open up around her peers since she won the US Open? “I think it’s really hard for me to open up. I was literally having this conversation with [my coach] Sascha Bajin like 30 minutes ago and he’s telling me to open up to him. And I’m like, ‘If I haven’t opened up to you yet, it’s going to be very difficult’,” she said with a laugh. “I think it’s because I’m very shy, if they don’t approach me then it’s really hard. 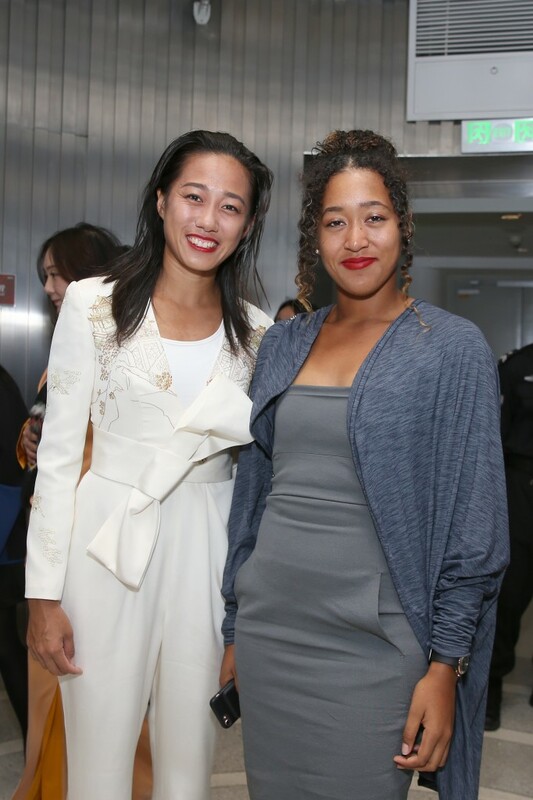 For me, the only person I can really approach is Zhang Shuai and I think it’s because she’s like my older sister type and she’s so nice. Whenever I see her I’m just like ‘aaahh’ [puts her arms out like a hug] and it’s so rare for me to feel that way. The friendship with Chinese world No. 45 Zhang Shuai had a funny start back in 2016. “Her and her coach are the nicest people ever,” said Osaka. “I was at the Japan Women’s Open and I was about to play her and she went to watch my match and then she told my coach that I was so good. And I was like she’s kind of weird to say that right before we play each other. Zhang and Osaka could potentially square off in the quarter-finals in Beijing but they’d each have to win two matches before that can materialise. Osaka is currently ranked No. 6 in the world and No. 3 in the Race to Singapore. She is keen to qualify for the elite season finale for the first time, and also wants to return to Singapore, where she won the WTA Rising Stars event in 2015. 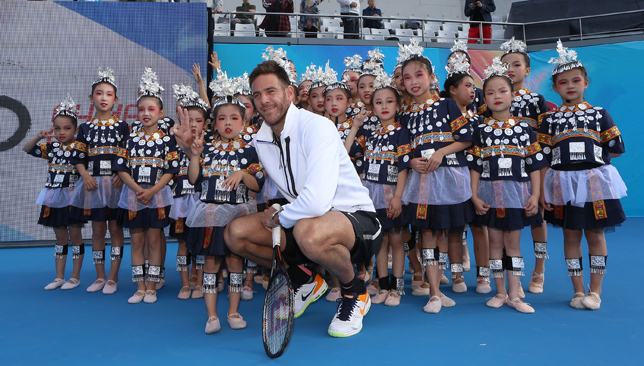 It was an event run alongside the WTA Finals that featured four promising young players who booked their spots in the tournament via a fan vote (UPDATE: WTA announced on Tuesday that Osaka has qualified for the Finals in Singapore). This time, Osaka would be playing in the main showpiece if she qualifies, and will have earned her spot there by putting together an incredible season, that saw her win the US Open, Indian Wells, as well as make the final in Tokyo. “For me Singapore is extremely motivating. Because I played the Rising Stars event there, I just have so many memories and I know it’s the last year so I definitely want to go back there one more time and I feel like I have a really good opportunity to do that, so I really want to capitalise on that,” she said. Ons Jabeur’s reaction after moving into the China Open second round was understandably subdued as her opponent Simona Halep was forced to retire with a back injury while down 1-6, but the Tunisian qualifier is nevertheless pleased with her level so far this week in Beijing. 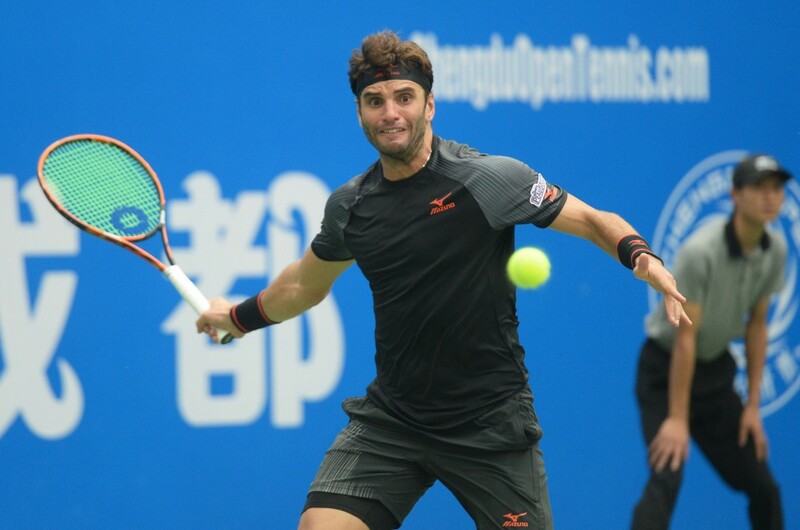 Jabeur posted two convincing victories over Olympic champion Monica Puig and Germany’s Tatjana Maria in the qualifying rounds in the Chinese capital before posting the best victory of her career by ranking against world No. 1 Halep on Sunday. It was the Tunisian’s second top-10 win, having defeated Dominika Cibulkova at the French Open last year, and it earned her a second-round clash with in-form Croatian Donna Vekic. “I wanted a real match, without anyone getting injured. I’m playing the world No. 1, you expect to go and scream ‘come on’, but out of respect for her, I didn’t want to act happy. Of course I was happy with the win, with the tournament in general, and hopefully I can continue winning,” said Jabeur, who almost looked sad when she walked off the court as a winner. Halep hurt her back in Wuhan last week and was unable to recover in time for her Beijing opener. Jabeur admits she was excited when she saw she was going to face the world No. 1 and is already hoping for a rematch against a fit Halep. “It was funny because usually when I receive the email [of the draw with qualifiers placed], I go down [scrolling], I was going down then realised my name was right at the top of the draw. I didn’t remember any of the qualifying spots except the one in front of Halep. 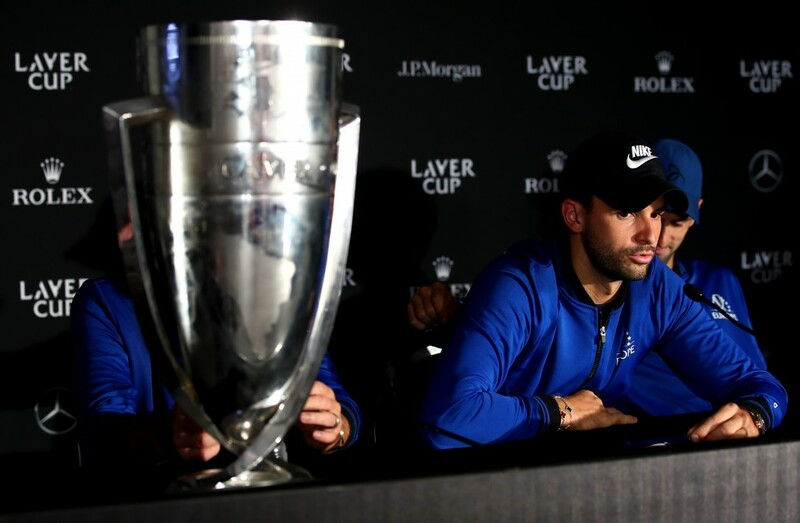 So I was really happy, I like these kind of matches, I like playing big players, that’s where I can play my best, and hopefully next time will be a better match,” explained the 113th-ranked Jabeur. After a mediocre first few months of the season, Jabeur started finding her game at the start of the grass season, earning a wildcard into the Wimbledon main draw by lifting a $100k title in Manchester, and reaching the second round at the All England Club. The 24-year-old then made the quarter-finals of the WTA event in Bucharest, qualified for the US Open main draw, and is now in the second round of a Premier Mandatory event as a qualifier in Beijing. “I’m really happy with my level, it is getting better and better, I’m more aggressive,” said Jabeur. Halep was impressed by what she saw from Jabeur, even though the Romanian was unable to compete well from her side. “She can hit the ball very strong. She’s playing well. I cannot analyse this match because I was not able to do anything on court. But she’s a good player,” said Halep of Jabeur. Jabeur has had previous success in the Far East, having won titles in Japan, and she’s happy she’s tasting some degree of success now in China. “I guess the noodles are good here,” she joked when asked to explain why she tends to play well in Asia. Jabeur looks and sounds refreshed, even though we’re entering the final stages of a long, gruelling season. She says she felt “dead” this time last year in Asia but better scheduling this season that allowed her to take some breaks, and having her husband, Karim Kamoun, travel with her as her fitness trainer, has helped keep her motivated and upbeat this deep in the season. The former French Open junior champion has been without her coach Bertrand Perret for over a month now as he serves a three-month suspension for an incident that occurred when he was coaching Peng Shuai last year. During the Asian swing, Jabeur has enlisted her compatriot Issam Jellali, a Dubai-based coach and good friend of hers to help her out in China. “We hit a lot together, whether in Dubai or when he comes to Tunisia in the summer. So he knows my game, he knows me really well. I like being around him because he’s a funny guy, I like to laugh obviously, that’s my character, and when I’m that comfortable, that’s where I play well. So I like the positive energy, I like my husband being here with me and it’s amazing,” said Jabeur. With a return to the top-100 now within touching distance, Jabeur feels primed to make a step up to the big leagues. “Maybe people said that to me, and I can say it, that I never got to the ranking that I deserve. Now I’m learning, not just tennis or fitness, also mentally I improved a lot and now I think I’m ready to be in the ranking that I deserve,” she concludes. Jabeur’s second round against Vekic is scheduled fourth on the Moon Court from a 12:30pm start (Beijing time). 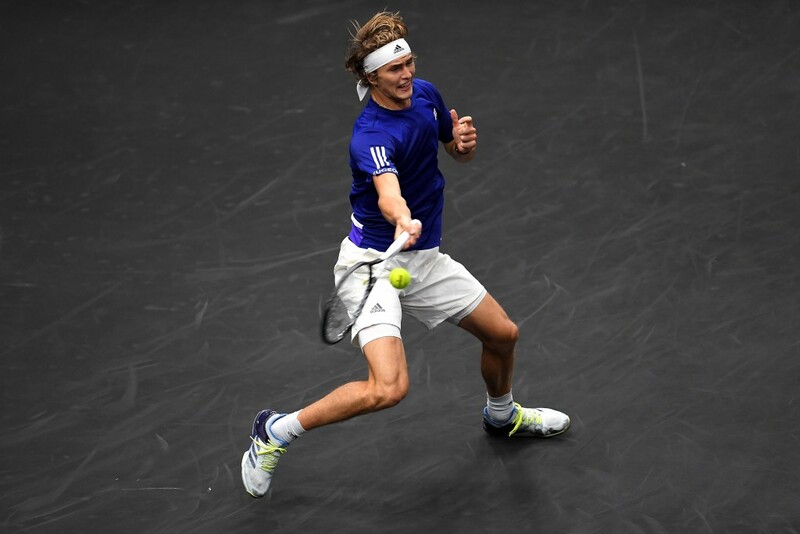 Jabeur is 1-0 head-to-head against the Croat but they haven’t faced off since Linz 2014.